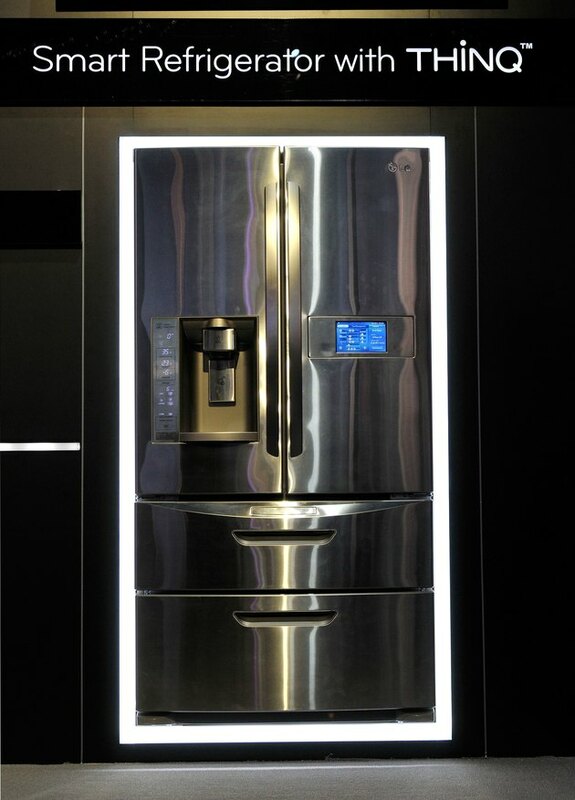 In many LG refrigerators, the water-dispensing system is a much better way of getting a fresh glass of water than the kitchen sink tap. If your model uses a filter, the quality of your water is probably better than the tap. However, the release of water from the dispenser can slow down over time or not work at all. Your first instinct is to adjust the water dispenser, maybe like turning the cold water knob on the kitchen sink to increase the flow. Unfortunately, the water dispenser doesn't have the same adjustable controls as the tap, but there are other measures you can take to improve the performance and quality of your water dispenser. Even in the LG Smart ThinQ refrigerator, basic water quality is important. Pull the refrigerator away from the wall carefully, if the unit is not dispensing water or doing so very slowly. Find the water supply valve on the back of the refrigerator. Slowly turn the valve to make sure it is fully on and let the water flow freely to the refrigerator. You may have to contact a plumber if the water supply does not improve, because you could have a problem in your water system. Flush the water dispenser system, if the unit is not dispensing water after a new installation or reconnection. Find or mark a 5-gallon bucket to 2.5 gallons or half the bucket's volume. With the bucket up and under the water dispensing nozzle, press the dispenser pad to begin releasing water, but don't gather the whole 2.5 gallons at once. Instead, release the dispenser pad every 30 seconds on and 60 seconds off. This procedure cycles trapped air and foreign matter out of the water system in the refrigerator, helping free and/or improve water flow. Replace the water filter, if you notice the water dispenser's output is decreasing. The filter can become saturated with debris and particulates after six months of usage, inhibiting water flow and quality. The filters vary by LG refrigerator model number. Replacement filters are available on LG's Find Parts and Accessories website or at a local dealer. Look in your user's manual to learn the correct part number for the replacement filter before buying or placing your order. Follow the instructions on the filter packaging to learn how to remove the old and install the new filter or refer to the manual.